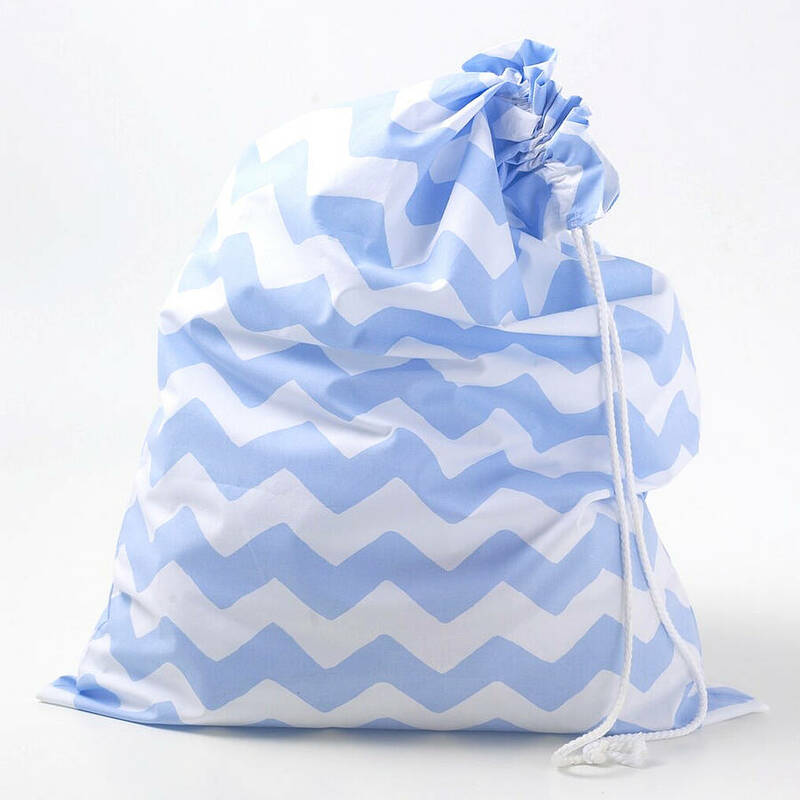 Our 100% printed cotton laundry bags are made from a fun zig zag design in Blue and Pink. 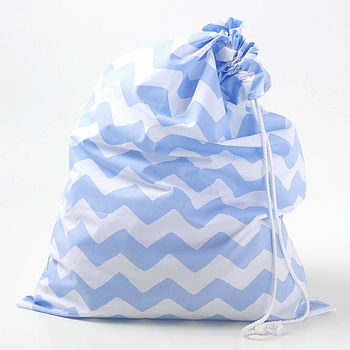 Our zig zag drawstring laundry bags are a lovely addition to the back of any bathroom or bedroom door. 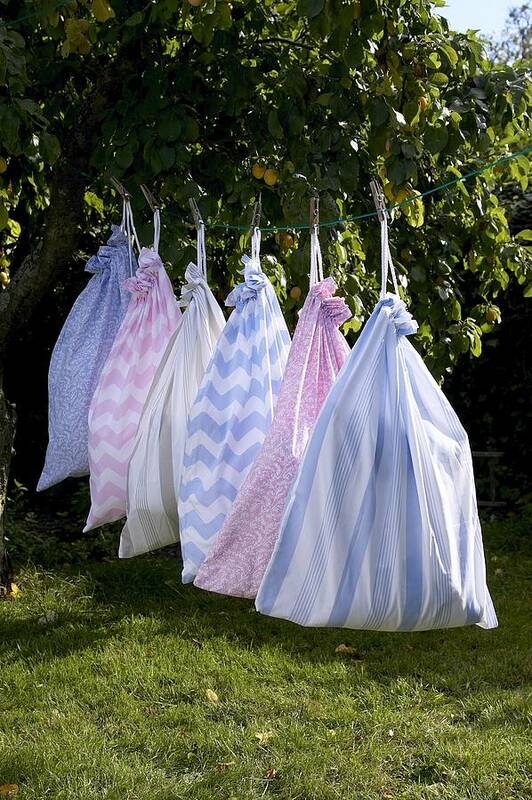 This bag makes a perfect little washing bag either at home or to take on holiday or weekends away. They are also great book or shoe bags for children. 100% 200 thread count printed cotton percale with a white chord drawstring. 40 degree wash recommended, suitable for tumble drying.Made in England. Width 35cms x Length 40cms. This product is dispatched to you by Tonder & Tonder.